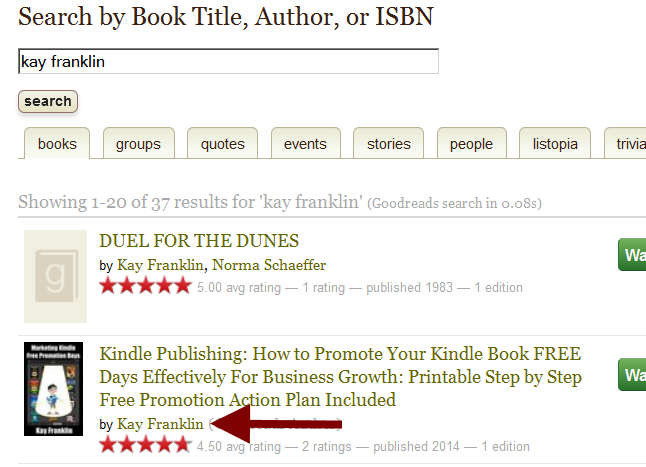 Blog Can You Use Amazon KDP Select and Goodreads? 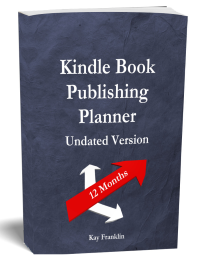 Can You Use Amazon KDP Select and Goodreads? I decided to do a bit of digging to see if it is possible to have a presence on Goodreads even though most of my kindle books are in the KDP select program. Goodreads is a huge website full of people wanting to read and share their thoughts about books and therefore as an author it seems crazy if you don’t have any visibility on there. I’ll be honest, until I visited the site and had a look around I didn’t realise that my own books were already featured on there with some reviews too! What About Exclusivity and the KDP Select Program? Since my books are already featured on Goodreads without me doing anything I came to the conclusion that you must be able to use both Goodreads and the KDP select together! Now, I had always assumed that Goodreads sold books on their website and therefore having my kindle books on there would be against the conditions for the KDP select program. When I say ‘sold books on their website’ I mean that I thought that people would buy and download the book from Goodreads itself. How wrong I was! Just goes to show that you shouldn’t base your actions on assumptions!! Goodreads does not sell ebooks. However, if you are using our Preview feature to sample a book and would like to buy it, you can do so by clicking the “Buy Full Version” button at the bottom right-hand side of the Preview screen. This will take you to the Amazon page for the Kindle edition of that book. So having your kindle book on Goodreads is exactly the same as promoting it from your own website or tweeting about it and sending any visitors to Amazon to actually purchase it! Did You Know Amazon Bought Goodreads? I also discovered (very late on in the day I have to admit!) that in 2013 Amazon actually bought Goodreads! I have no idea if my books would have appeared on Goodreads before Amazon purchased it or not but I suspect not. The reason being that since Amazon bought Goodreads they have added the ability for readers to add books that were purchased on Amazon to their account. Since my books have only been available to purchase on Amazon I think this must be the reason why they are now featuring on there. The truth is I don’t know! However, the plus side is that having the import feature means that many readers who buy your kindle books via Amazon are more likely to provide a review on Goodreads! This is excellent news for increased visibility and credibility. 1. Go to https://www.goodreads.com and sign up to join. This is not signing up as an author yet, that step comes later. 2. Just follow the on screen instructions to get your account up and running. 3. Check your email and click on the link to confirm your account creation. 4. You can begin filling in your profile by clicking on the menu tab at the top right hand corner if you want to but you’ll need to edit your author profile anyway once it is accepted. 5. Now you can request an author account. Basically your profile becomes your author profile instead of the standard signing up profile. You’ll see the Goodreads URL change – instead of user it becomes author! 6. First of all you need to search for your author name. By the way this won’t work if you have yet to publish any books because you won’t be found on the database! You also need to be signed into your account. 7. Go to the search bar or https://www.goodreads.com/search and type in your author name. 8. You’ll see a list of books, some might not be yours but you should see some that are. Click on the author link next to one of your books. 9. You’ll be taken to the author page that is the default one created by Goodreads. You’ll see on the left or at the bottom if you scroll down “Is this you?”. Click on that link and you’ll be redirected to the author request page. 10. Fill out the information that they request and send it. I had my author account accepted within 10 minutes! 11. 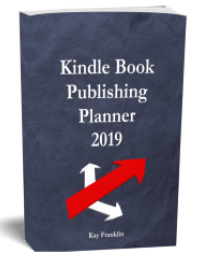 You’ll receive a welcome email with lots of information about how to set up your author profile, how to promote your book and managing your book data. You can see that I already have 5 ratings and 2 reviews for my kindle books – and I didn’t even know about it! It is certainly worth checking your ratings and reviews within Goodreads because even if you only sell your book on Amazon you can still use this feedback and put it on your editorial reviews section on the Amazon sales page. Just fill in the details that are suggested in your welcome email and you’ll soon have your author profile set up. Just remember to fill out your author profile from the dashboard rather than your user profile. I love Goodreads! Found so many good books to read on there. Btw, I’m following you on Goodreads. Great blog post.